Melania Trump finally moved to Washington, D.C. The First Lady and son Barron left New York City, moving into the White House on Sunday. The 47-year old Melina wore a Dolce & Gabbana blouse, Bally pants, Manolo Blahnik pumps and an Hermès Birkin bag, along with her diamond ring and oversize shades. 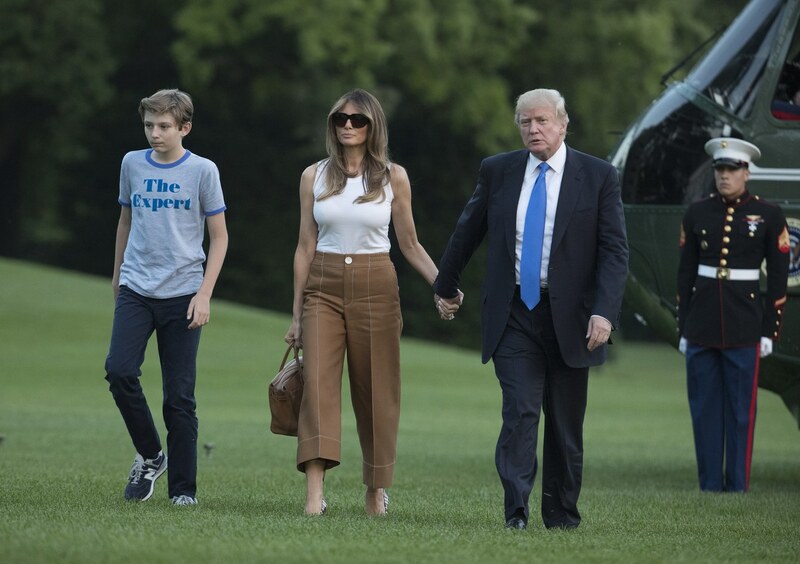 Barron wore a t-shirt that exclaimed “The Expert” and was complete with dark blue New Balance sneakers. This is not an alternative reality. Donald Trump is still the 45th President of the United States.